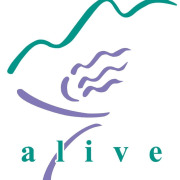 ALIVE’s Community Outreach volunteers/interns spend time in the office and out in the community at various events or speaking engagements throughout the St. Louis Metropolitan Area and nearby areas of Illinois. Community Outreach volunteers/interns may attend health fairs, speak at high schools, or university's, or local businesses to educate about the affects domestic violence and intimate partner violence has on individuals and communities. The community outreach volunteers help to educate communities about how they can help support and refer individuals experiencing intimate partner violence. The outreach program is designed and intended to create awareness in new generations and to help de-stigmatize both women and men that experience domestic violence trauma. If you enjoy meeting new people, sharing about a cause you are passionate about, and are looking to volunteer your time we have a spot for you! 1-2 xs a month. For 2-6 hours per event. Varies.